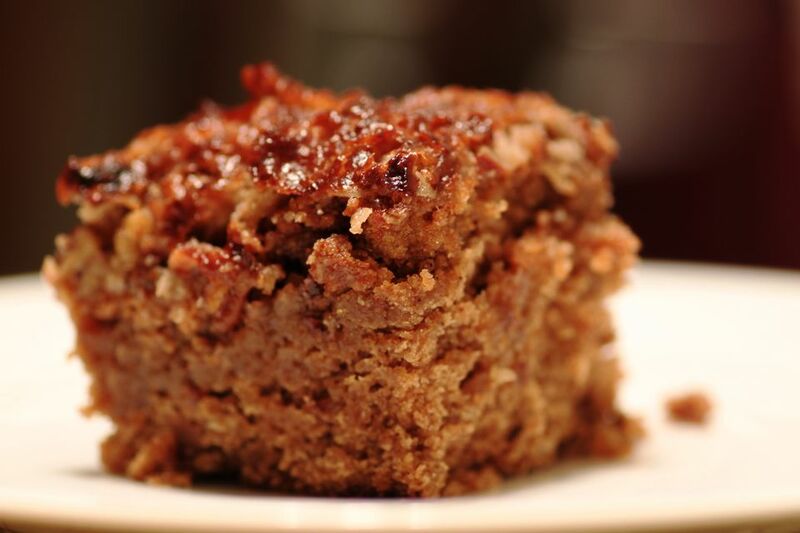 Use certified gluten free oatmeal to make this moist and delicious cake. Broiled Penuche frosting is a wonderful broiled brown sugar, pecan, and coconut glaze. Who can resist a buttery rich cake with a crunchy, toffee-like frosting? Grease a 13 x 9 inch baking dish. Put oatmeal in a bowl and add boiling water. Stir to combine and let stand for 15 minutes. Combine 1/2 cup butter with sugars in a mixing bowl and beat on high until light and fluffy. Add eggs, oatmeal, gluten free flour mix, baking soda, salt, cinnamon and vanilla and beat on low, just until thoroughly blended. Pour cake batter in prepared baking dish. Bake for 35 to 40 minutes, or until a toothpick inserted in the middle of the cake comes out clean. While the cake is baking, combine penuche frosting mixture in a bowl. As soon as the cake comes out of the oven, spread the frosting mixture evenly over the top of the hot cake. Broil the cake, about 6-inches from the broiler, until the frosting is bubbling and golden brown- about 5 minutes. Watch this step carefully- the frosting will burn if left under the broiler too long! You can try using an all purpose gluten-free flour blend with nutritious amaranth, sorghum and quinoa flours for good results.